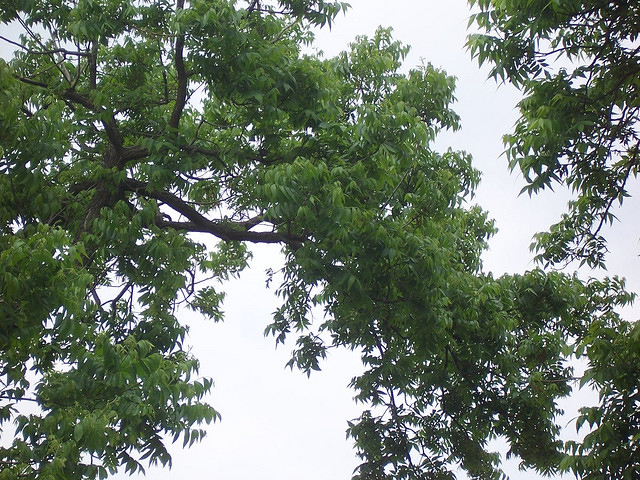 Pecan tree in July; photo by Sheryl McCoy on Flickr (noncommercial use permitted with attribution). Fossil remains found in Texas show that our native pecan tree was here long before humanity arrived on the scene. 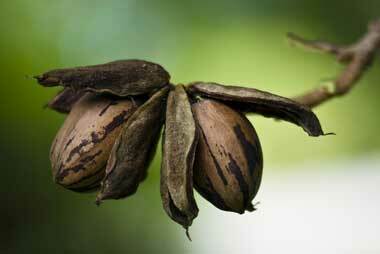 Remarkably long lived, the pecan can survive more than a thousand years and grow over 100 feet tall. Many native Americans relied on pecans as an important food staple; they gathered wild pecans and combined them with fruits and vegetables (including beans, corn, and squashes), created an energy drink with pecan milk, used ground pecan meal to thicken meat stews, and included roasted pecans as part of their travel supplies to sustain them along the journey when food was scarce. Besides producing the delicious pecan nut, pecan wood is used in agricultural implements, baseball bats, hammer handles, furniture, wall paneling, flooring, carvings, and firewood. Section 1. That the Pecan Tree be, and the same is hereby named and constituted the State Tree of Texas. Section 2. The fact of the near approach of the end of the Session and the importance of this legislation, and the crowded condition of the calendar, creates an emergency and imperative public necessity requiring the suspension of the Constitutional rule that bills be read on three several days, and that this act take effect and be in force from and after its passage, and it is so enacted.